North Dakota’s game wardens are employed by the state’s Game and Fish Department. The state’s plains have an abundance of wildlife including bighorn sheep and deer. The illegal hunting of these big game species has been so prevalent in the state that North Dakota’s hunters expressed a desire for the Game and Fish Department to crack down on these poachers. The state’s game wardens have been highly successful at reducing the frequency of poaching in North Dakota. Being a game warden in North Dakota can be arduous and subject the men and women to extremes of temperature. Despite this, individuals are drawn to this career with an abiding passion to protect North Dakota’s natural resources from damage and illegal hunting. Applicants face intense competition to become a game warden in North Dakota, and they are more likely to be considered if they have a thorough understanding of the requirements for the position, so they can best showcase their skills. Read on to learn more about becoming a game warden in North Dakota. North Dakota’s game wardens educate student groups and other members of the public about conservation, hunting, firearms and boat safety. As law enforcement officers, they are often called to help other local law enforcement agencies in times of emergency. The role of a North Dakota game warden is challenging, so each potential candidate should begin their application process ready to showcase skills that will benefit the Department. The more knowledgeable applicants are about the requirements for these jobs, the better they can present themselves to the hiring committee. Age: 21 years of age or older by the time academy training starts. License: A valid North Dakota-issued driver’s license is required. Individuals must maintain an acceptable driving record. Academic Credentials: Applicants must have a bachelor’s degree by the time they are hired. Vision: Visual acuity not less than 20/40 in each eye without correction and corrected to 20/20 in each eye. Normal color vision and possessed of a peripheral field of view are required. The North Dakota Workforce Intelligence Network reported that experienced game wardens earned an average of $58,380 ($28.07 hourly) as of 2016. 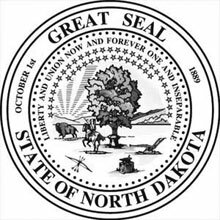 The overall average for North Dakota’s game wardens including all levels of experience was $46,830 ($22.51 hourly) that year while those new to the state Game and Fish Department earned an average of $23.720 ($11.41 hourly).